Planning for your Siem reap adventure? Are you wondering what to do in Siem Reap? Here is the list of suggestions about the best things to do in Siem Reap. Siem Reap– it is the capital city of Siem Reap province, situated in the northwestern part of Cambodia. Siem Reap is considered top tourist destination in SouthEast Asia. With a fast-growing population of 140,000+ as of 2019, massive numbers of restaurants, hotels and close-related business come booming for the past decade. Notable sites, villages and museums are in Siem Reap. Home of Angkor Archaeological Park, ancient temples of the Khmer empire. Best time to visit Siem Reap? 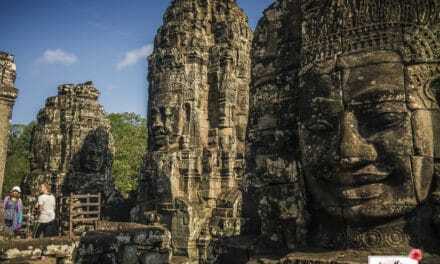 How to reach Siem Reap from Phnom Penh (Capital of Cambodia)? Well, Siem Reap, Cambodia is in the tropical region of the Earth, this place has wet and dry seasons. the temperature is cooler and believe or not, this is the peak season of Siem Reap for tourists. 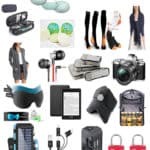 The months you don’t want to spend time buying, using sunscreen and umbrellas due to the scorching heat of the sun that gives the whole place a 37-39oC! These are the “more rainfall” months. expect after lunch showers, but these are months where you can have the best breathtaking sunrise photo shoot. With a distance of more than 300+ km, you can be at Siem Reap in less than 5 hours via taxi (as of 2019, 75 USD is the fee from airport to Siem Reap), plus you can see the stunning view of the countryside. If you are looking for faster transportation, book a local flight (book in advance to get a cheaper price) and roughly 45 minutes you are already at the beautiful Siem Reap city. If you are looking for a more local feel and a budget-friendly expense- take the bus, they have a VIP and Eco options (not more than 15 USD per person). But get your humps ready as your travel hours would be around 6-7 hours. 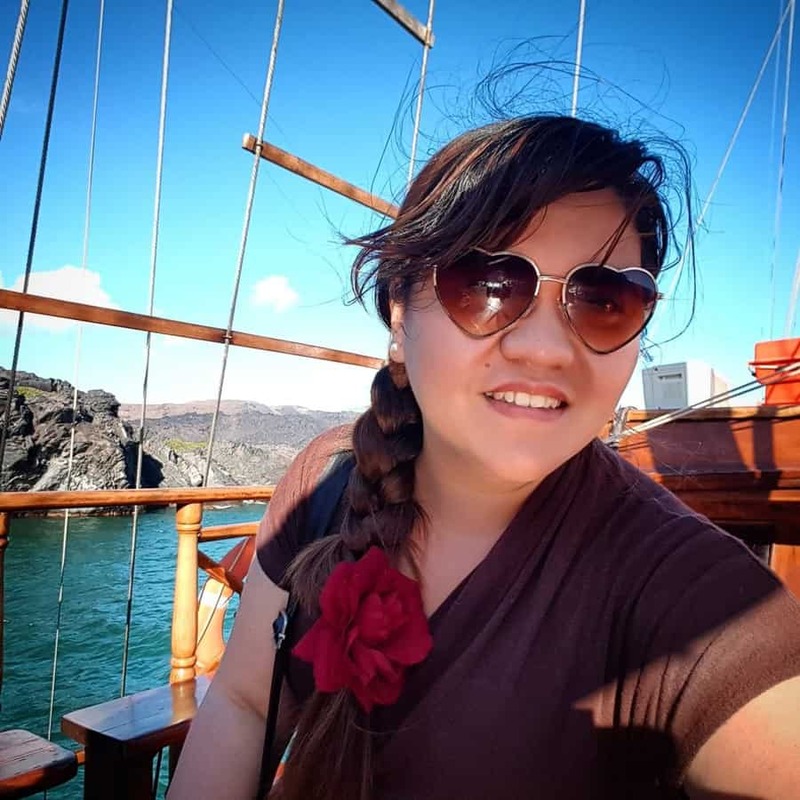 For the more adventurous type, who happens to love getting a good tan (have your sunscreen and sun shelter ready), ferry boats will suit you well. Don’t worry about your 8 hour challenging journey, it can surely be paid-off by the memorable scenery and stunning sights. Be reminded that in low-tide season (April to June) ferry boat companies are close. Walking in the Pub Streets by 6 pm onwards is one of the popular and best things to do in Siem Reap apart from temples. If you are a booze enthusiast traveller, this Pub Street of Siem Reap can fill up your beer belly. It is unbelievably array of shops, cafes, restaurants, bars, more bars (where draft beers are literally everywhere) and vivid bright lights. Many restaurants serve not only local Khmer meals but also all kinds of cuisines from neighbouring Asian countries up to the Western type dishes. This is also a family oriented place, enable your kids to enjoy the atmosphere. Pavements and main roads are well maintained when it comes to cleanliness. Designated areas for smokers and vendors. Here at Pub Street, there is always something going on to entertain yourselves, from bartering, listening to live music down to body massage and local stuff merchandises. 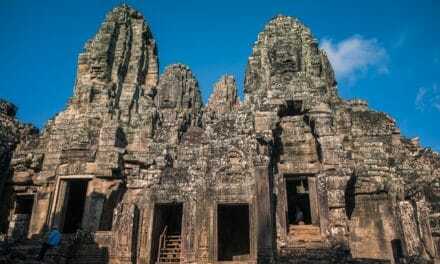 This is a must see location in Siem Reap. 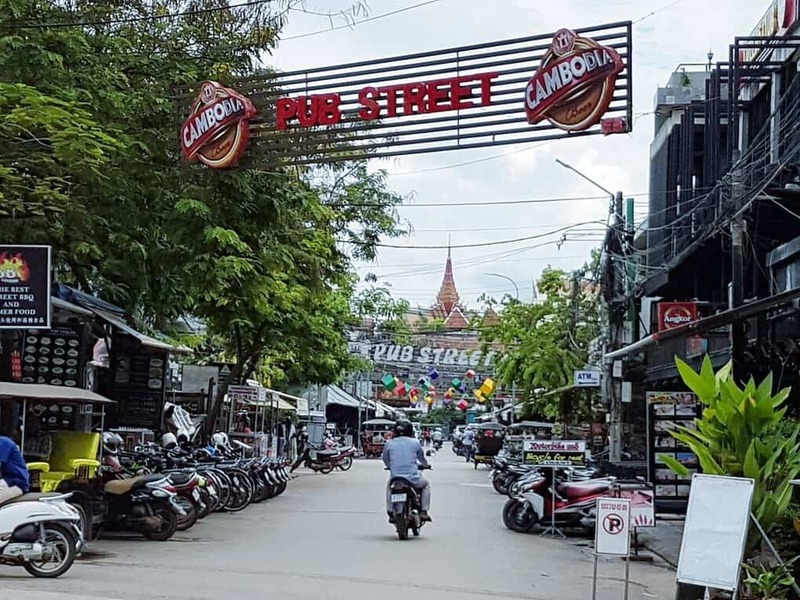 You might want to extend your vacation more to enjoy a 50 cent beer at the Pub Street of Siem Reap. Experiencing the nightlife in Pub Street is only one of the cool things to do in Siem Reap. When the night falls, things to do in Siem Reap is endless. 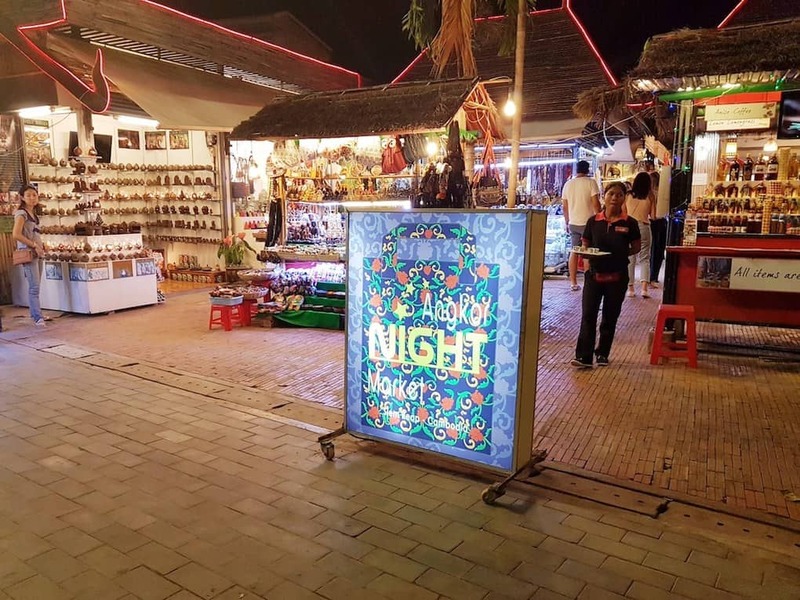 Roaming around the night market of Siem Reap, you will experience street lights are as bright as noon, streets are kept clean, vendors are truly friendly, local foods are in every corner, pubs, restaurants and cafes too. If you love shopping for souvenirs and originally made products, the night market is the best place to nestle closely and do not forget to bargain. It is a nice place to stroll with different stalls selling Cambodian handicrafts and various things. One tip to enjoy this local thing in Siem Reap— Don’t be shy to haggle, that is one of the exciting and fun experiences in the local market. 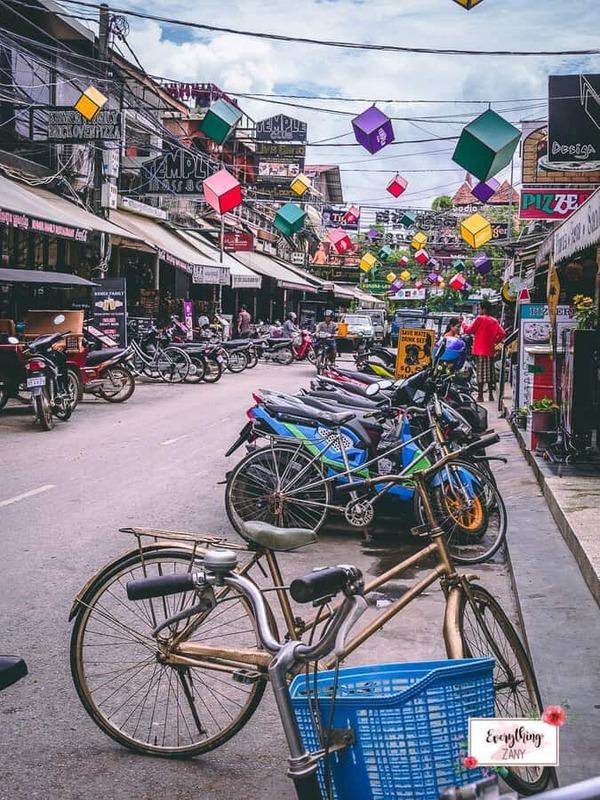 Squeezing in the narrow alleys, being sandwiched by local souvenir store, getting a fish-massage, buzzing with tourists and laughing while having a beer in the hand are only a few fun things to do in Siem Reap. So, what are you waiting for? Cambodian cuisine features the fusion of Khmer culture. Cambodian food is the most overlooked of all cuisine in the Asian region. Meals are cooked from local resources such as freshwater fishes, herbs and root crops. Rice is the staple food of Cambodia. Locals greet each other by saying “Nyam bai howie nov?” which means “Have you eaten rice yet?” “Nom Bahn Chok” is Cambodian traditional street food and it is composed of rice noodles and fish-based green curry gravy, it is best eaten when drizzled with kaffir lime. Snacking on the street is a cultural thing to do in Siem Reap and it is safe as the foods are cooked in front of you. Noodle soups (beef or pork flavoured) are served hot wherein bacterias are killed. Many students, tourists flock over by street stands where spring rolls, barbecued beef, fried noodles (mi char), pate sandwiches (num pang pate), chive cakes (num kachay), cut-up fruits and iced coffee with sweetened condensed milk (kar-fe toek doh koh toek gok) are prepared and sold by late afternoon. Indulging in Cambodian food and exotic snacks are only a few of the best things to do in Siem Reap. 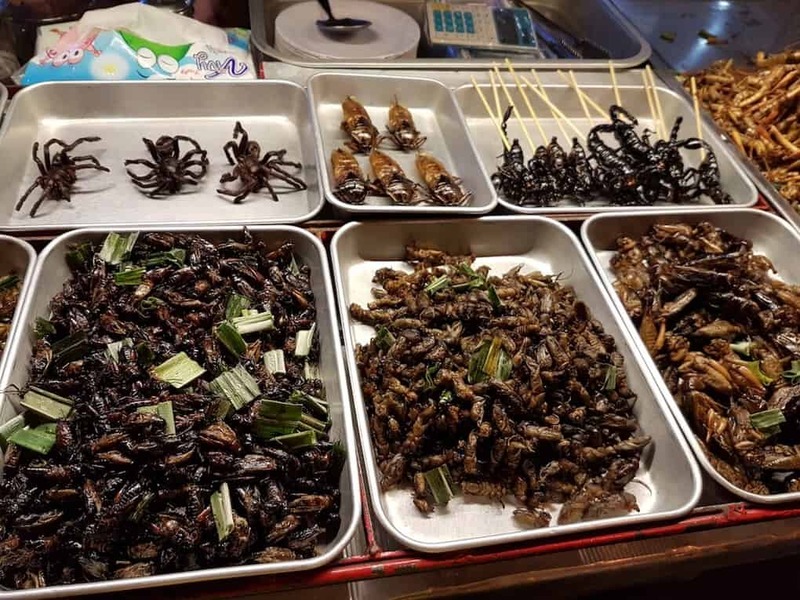 Spiders, grasshoppers, frogs, half-hatched duck eggs, snake wine and crocodile are just some of Cambodian “unconventional” ingredients for their dishes. The adventurous type tourists are well engaged to top up their taste buds with this. Spiders, Tarantulas to be specific, is deep-fried and according to some local elders, it is brilliantly healthy as it is full of protein (just be mindful about the intestinal juice as you bite!). Frogs and grasshoppers are cooked variously, from deep-fried, barbecued down to baked-style ones. South East Asian countries are home of exotic delicacies and Cambodia is one of them. 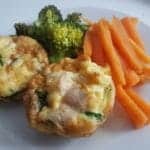 Trying out the exotic street foods of Cambodia should be in your “Local things to do in Siem Reap” list, that many tourists or most likely the locals enjoy. Don’t worry about the snakes, they are cultured specifically for food consumption. 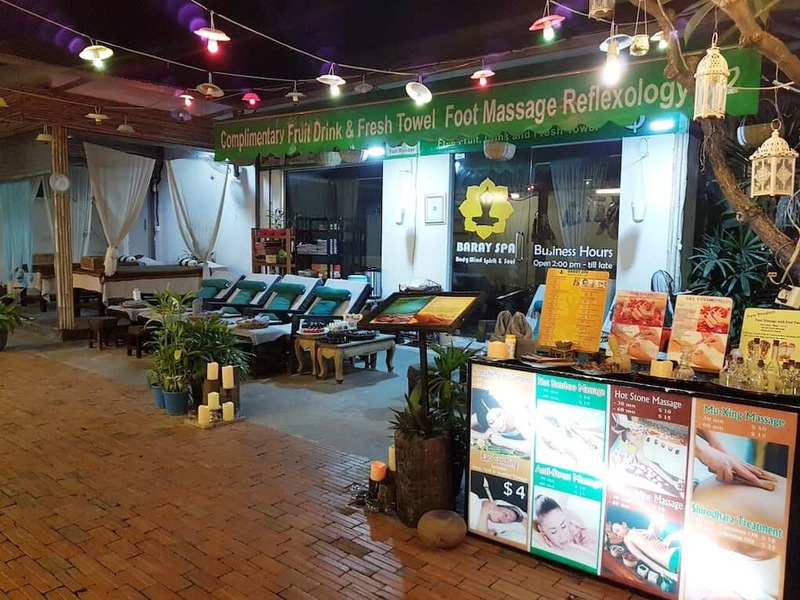 Body massages and fish spa are two of the most relaxing things to do in Siem Reap, after a good stroll around the city. Travel enthusiasts all over the globe come to Cambodia for this, where they can relax and have their pedicures, it is in their list of “unusual things to do in Siem Reap”. Garra rufa “doctor fish” is the small fish that fill ups the tub and eat away the patron’s dead skin (at the feet) when dipped in the water. 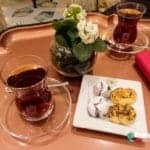 It is believed that it can treat psoriasis and other skin diseases (but you have to be very careful too when doing it). This activity is more effective when shared with your partner, rewarding each other together through spas and massages, consider this as a romantic thing to do in Siem Reap. Plus, the fees on fish spa corners are cheap and fair. Go through the alleys of Siem Reap and you will find fish spas that suits your preferences, some offers a good package as well. 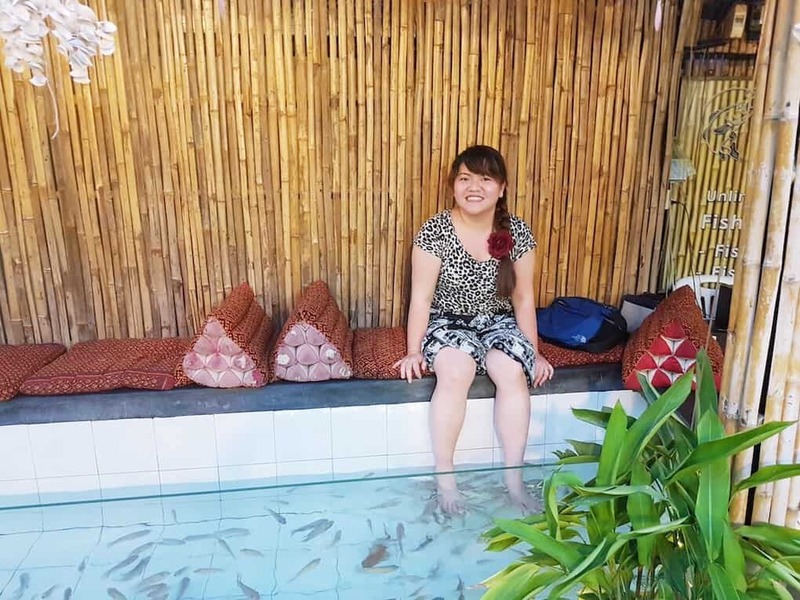 Fish spa is a ticklish experience in Siem Reap that you should not miss at all! There are lots of places to visit in Siem Reap, one of them is the Angkor National Museum, so interesting and educational. For less than 20 USD (as of 2019) you can have your entrance ticket together with an audio guide. The museum is packed with Cambodia’s history timeline, religions, monarchy and civilisation itself. This should be your first stop to do in Siem Reap before heading to the temples surrounding the city so you will appreciate more of your walk in Angkor Wat. Here in the museum, you will be informed about how influential up to this date the Indian mythology as well in the Cambodian empire. 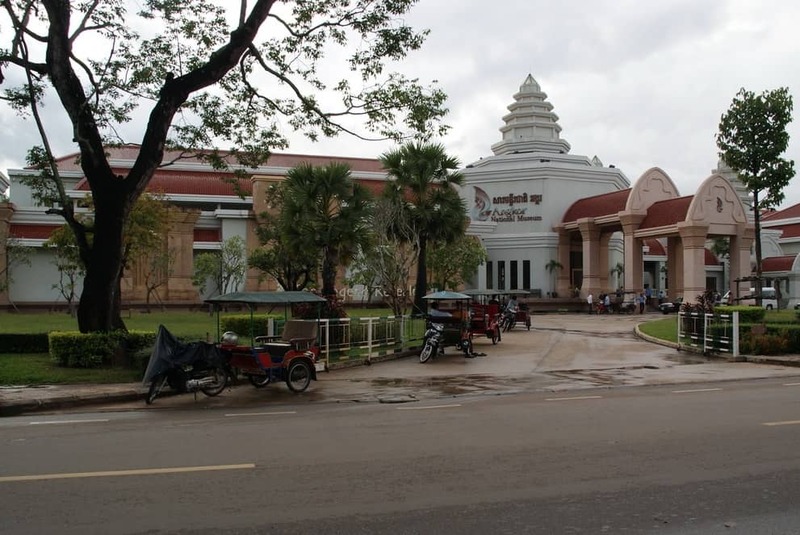 Enhancing your knowledge about Cambodia through this museum is a great thing to do in Siem Reap. The contents are simply magnificent. Helpful information is laid well just right before exploring the temples. UNESCO recognises it as the house of artefacts from the ‘Golden Era of the Khmer Kingdom’, where King Jayavarman VII who’s long-lasting power and influence developed the country’s cultural, historical achievements. This is one of the top things to do in Siem Reap, visiting Angkor National Museum gives you the introduction to Khmer culture and precious artefacts. Explore the sites with filled information from Angkor National Museum. Let yourself be amazed in this deep-rooted, rich wonder of Cambodia. 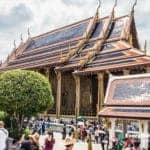 I hope this will help you to plan your trip to Siem Reap and will give you some alternative to visiting and things to do besides the temples. You can also visit the floating villages near Siem Reap! 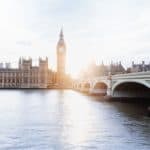 Share your travel experiences below. 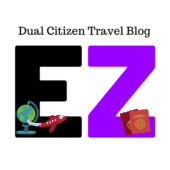 We are looking at travelling to Siem Reap in a few months time so this article is timely. Thanks for the transport options from Phnom Penh. Pub Street looks fun and also we love night markets so both of these will be a definite on our list of things to do.